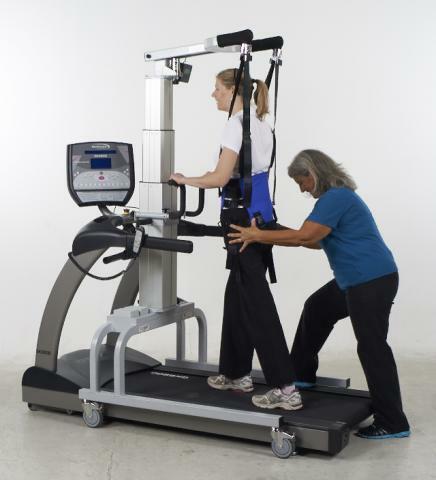 The LiteGait is available at the Winchester centre and is a useful device for training the mechanics of gait, whilst completely removing the risk of falling. 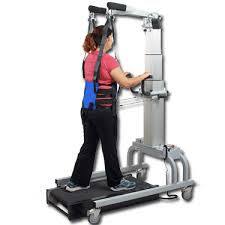 LiteGait® is a gait training device that simultaneously controls weight bearing, posture, and balance over a treadmill or over ground. It creates an ideal environment for people with a wide range of impairments and functional levels. 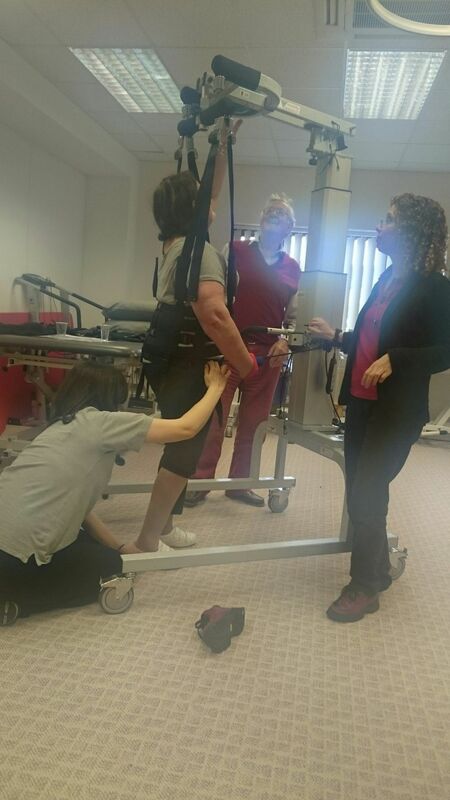 LiteGait provides proper posture, reduces weight bearing, eliminates concerns for balance, and facilitates the training of coordinated lower extremity movement. 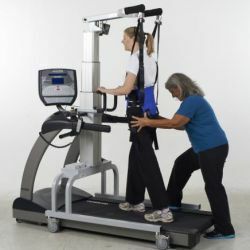 Its unique harness design not only permits unilateral or bilateral support allowing progression of the weight bearing load from non to full weight bearing, but also allows the clinician to manually assist the legs and pelvis to achieve proper gait patterns. People with lower limb weakness ranging from mild to severe. 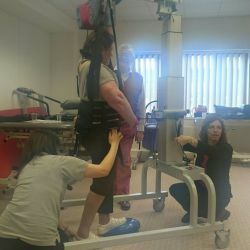 This covers a variety of neurological conditions including stroke, multiple sclerosis, cerebral palsy, acquired brain injury, spinal cord injury and Guillain-Barré syndrome and many more. The LiteGait is not easily portable, and therefore is not suitable for a home environment. 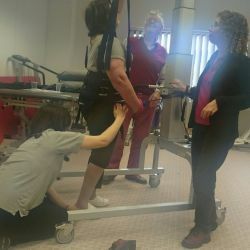 The equipment requires trained therapists to fit and set it up to your rehabilitation needs and the intensity of the rehabilitation requires regular assessment and adjustment of the equipment as you gain in confidence and ability. The equipment would always be used with a therapist present and is very much one for qualified users only. 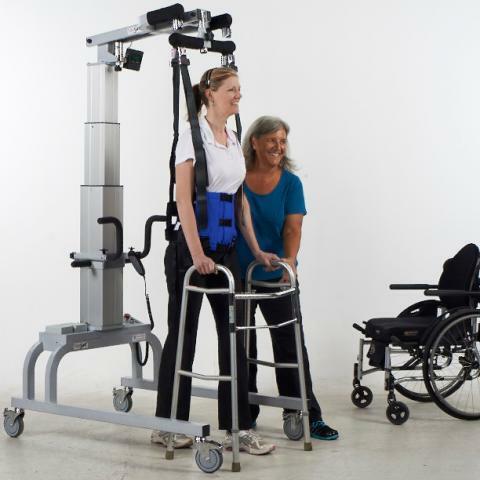 The LiteGait can be bought in the UK, but as described it is really envisaged as a piece of clinical rehabilitation equipment for multiple users with a wide variety of needs and conditions. The very nature of rehabilitation is that it is progressive and responsive to developments. 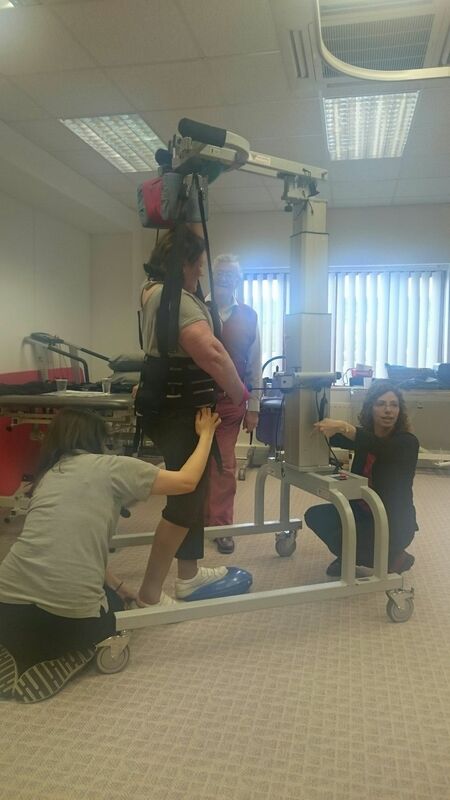 The clinician will lead the programme in accordance with your outcome measures, tailoring the use of the LiteGait to access the optimum results and avoid the temptation to overdo things! "Freedom to try leaning on a weaker leg or to move across the gym and back again, or to practice sitting and standing over and over again. Having the confidence to 'go with it', to get into a rhythm, to really listen to the therapist without the fear of falling or fatigue causing the training to end prematurely is so empowering."